There is a woman named Laura Nagle, whom I have come to know both through her blog and through our sometimes witty – sometimes profound – Twitter interaction about ideas and experiences. She is Autistic, is brilliant in the areas of mathematical knowledge and engineering, and in many ways reminds me of an adult version of my son H.
For my son, autism means he has a different way of thinking, processing and responding to the world. Like Laura Nagle, he will be Autistic. He will be Autistic next week when he turns 13, and when he is 25, and even when he is 57 – like Laura. Autism is a part of him, as it is a part of many, many people. Our world has become better, though not perfect, at embracing/tolerating diversity in gender, race, cultural and ethnic background, sexuality, politics, and religion. It is time to expand this to include acceptance of different ways of processing, understanding, and interacting with the world. We have an opportunity to accept and celebrate neurological diversity, and we have so much we can learn about ourselves and our children through our interactions with people like Laura. When I read about the struggles that Laura faces, I understand that there are many others who are similarly struggling. Change is needed so that those who face social cognitive challenges are not marginalized, socially and/or economically, and relegated to the edges of our social interactions. A little less judgment and a little more understanding and support would go an awfully long way. I write Thirty Days of Autism with the intent of increasing awareness, acceptance, and understanding for those who think differently. There is more work that needs to be done so that H, and others like him, find a world that will accept and support their differences as they become adults. I believe we begin this work by supporting change and by educating others about neurological diversity this very day. We will build a better future for children like mine if we work not only to advocate for our children – but also advocate for and support those who have a story to share as adults. People like Laura have so much they can teach us about their experience, their perspective, and how to effectively promote social understanding. 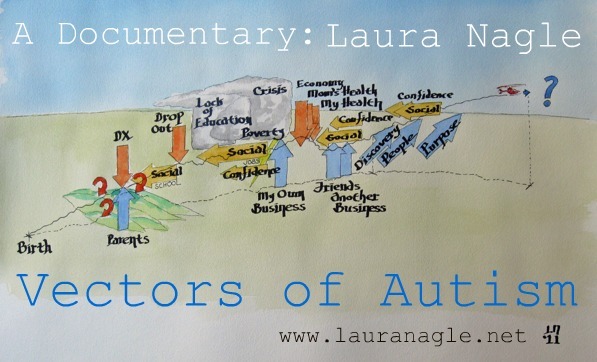 If you would like to be a part of supporting the documentary Vectors of Autism: The project is hoping to raise at least $5000 to complete the post-production work (special effects, sound engineering, and final editing) and to pay for the animation of Laura’s artwork. They would, of course, be ecstatic to exceed this funding goal and to thus be able to enter the film into festivals. I plan to do what I can to assist with this project for a number of reasons: I believe in the project, I like Laura’s message, I think listening to the voices of Autistic adults is of critical importance, I think doing so will help to shape the world a bit closer to the approximation that I would like to see for my son’s future, and frankly, helping others, by making a contribution, or even by writing this post, makes me feel like I am making a difference. 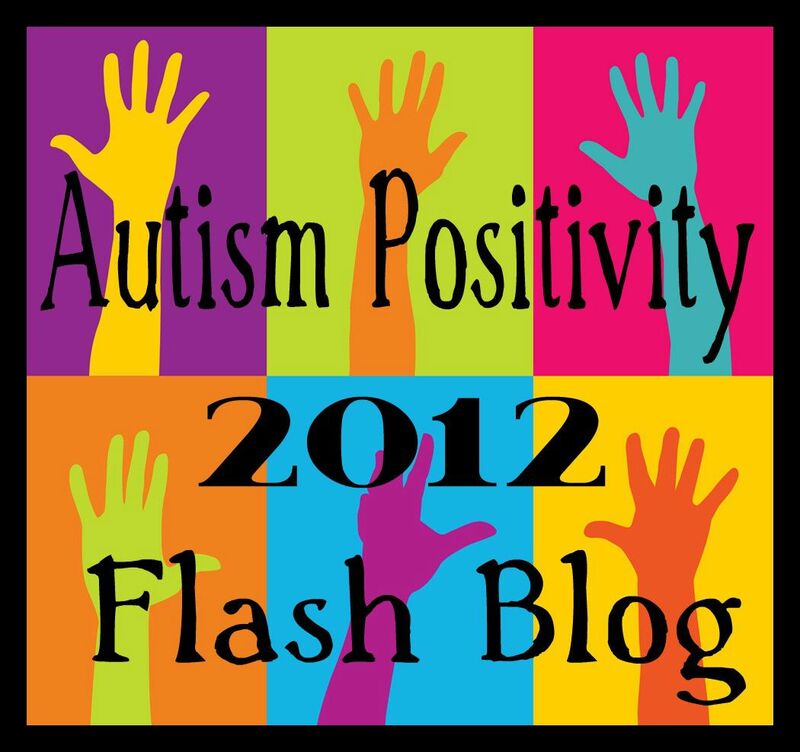 Postscript: December 11, 2011 The Vectors of Autism Documentary fundraising effort has thus far raised $ 3, 852 toward finishing the movie, which is almost 77% of what is needed. The level of support has been tremendous – but this project still needs the assistance of the autism community, and the many others who support those in this community, to reach that final goal. Laura has recently written a series of 4 posts that describe her life and the amazingly impact that making the documentary has had upon it. There are only five days left to make that final 23 %… and to make a positive difference in Laura’s life and the lives of others! 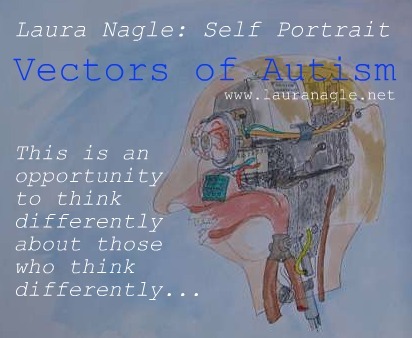 This entry was posted in acceptance, Aspergers, Autism, Documentary, Laura Nagle, promote social understanding, Social cognition, Vectors of Autism and tagged @HardAspie, acceptance, Aspergers, Autism, Documentary, Laura Nagle, Perspectives, social understanding, struggle, Vectors of Autism. Bookmark the permalink.